From Highway 35, turn west onto Alpine Road, go 3 miles, and turn onto Portola State Park Road. The road dead ends in the park. Use low gear as both these roads are steep and winding. Due to mountain roads, expect a 1 1/2 to 2 hour drive from most Bay Area locations. There is no gasoline available at or near the park. There is no store in or near the park. Online reservations are available 24 hours a day, seven days a week. Reservations can be made 6 months in advance beginning at 8:00 a.m. PST via the website, by mail, or by calling the toll free telephone number at 1-800-444-7275. Due to seasonal volume, access to the ReserveCalifornia website and the telephone line may at times be limited. 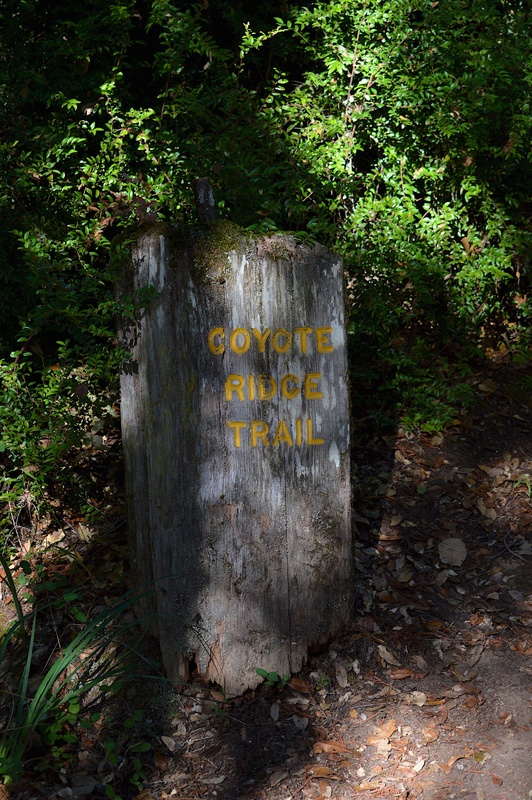 For more information and reservations for Slate Creek, please visit the Santa Cruz Mountain State Parks Backcountry Trail Camp Page. 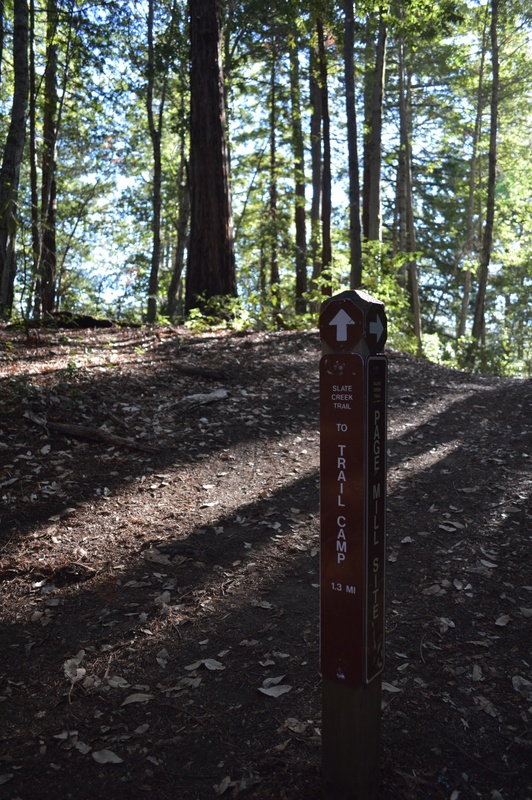 The Basin Easement Trail between the Hollow Tree Trail in Big Basin Redwoods State Park and the Butano Ridge Loop Trail in Pescadero Creek County Park is closed until the end of the summer in 2019. 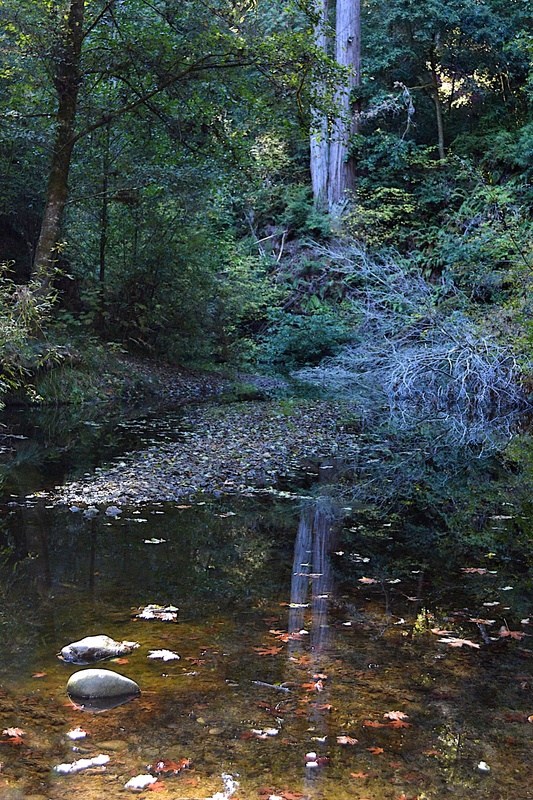 It is not possible to hike between Portola Redwoods State Park, Pescadero Creek County Park and Big Basin Redwoods State Park. Please respect the closure. This trail crosses private property. This trail is being temporally closed at the request of the property owner. Respecting the property rights of the landowner helps make this trail and others like it possible. 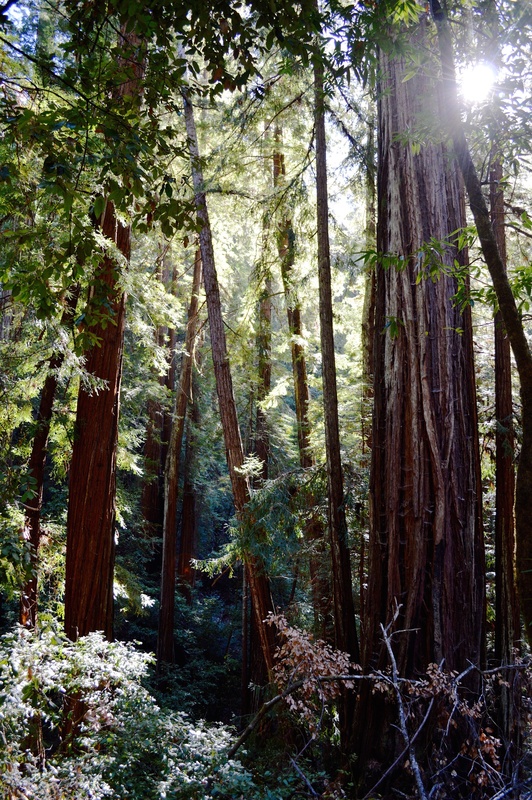 The road leading to the parks 2,800 acres drops from a ridgetop into a deeply shaded redwood forest, offering a hushed getaway from the suburban bustle of nearby Silicon Valley and the South Bay Area. The visitor center, with its couches and fireplace, feels like a wilderness lodge. Eighteen miles of trails follow meandering creeks, where moisture-loving coast redwoods stand tall among ferns and huckleberries. 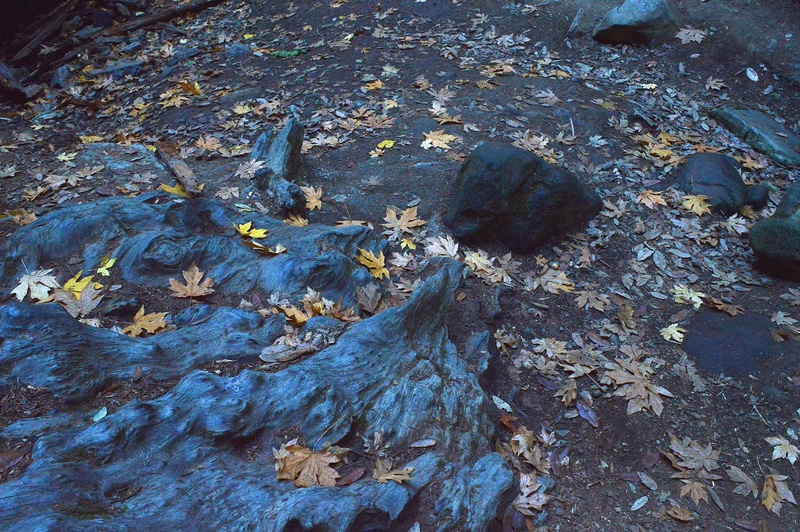 Waterfalls on Fall and Pescadero creeks tumble down mossy banks over rocks and woody debris. The park has a 55-site family campground, 4 group campsites, and a trail camp for backpackers. 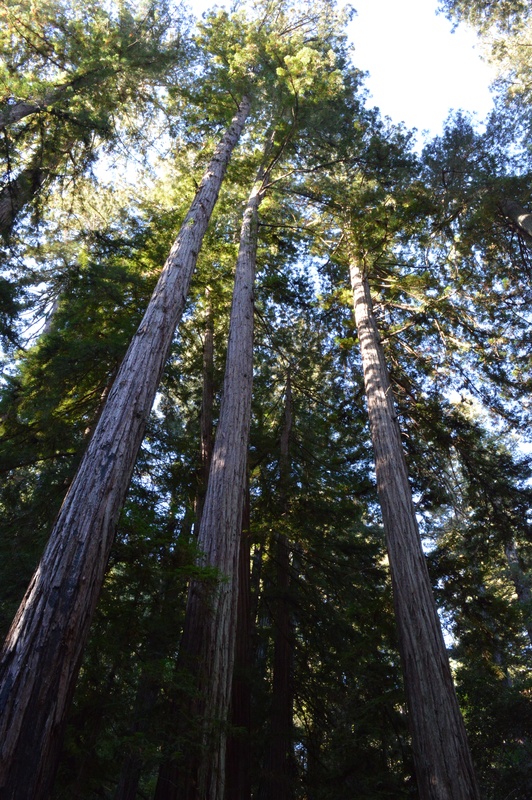 It also protects some of the most remote and scenic redwoods in the region, the Peter’s Creek Grove. NO CELL RECEPTION within the park and the surrounding area. Due to this, ridesharing services are not recommended. DOGS are permitted only in campsites and picnic areas and on paved roads and the Upper and Lower Escape Roads. Dogs must be on a leash no longer than six feet and attended at all times. At night they must be confined with their guardian inside a tent or vehicle. Except for service animals, dogs are not allowed in the visitor center or on hiking trails or dirt roads. 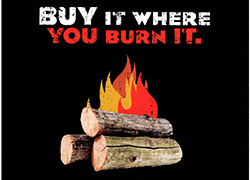 FIREWOOD is available for purchase at the park office or from the camp host. Please do not gather wood; the health of the forest depends on the nutrients provided by fallen wood. HORSES are not allowed on any hiking trails. 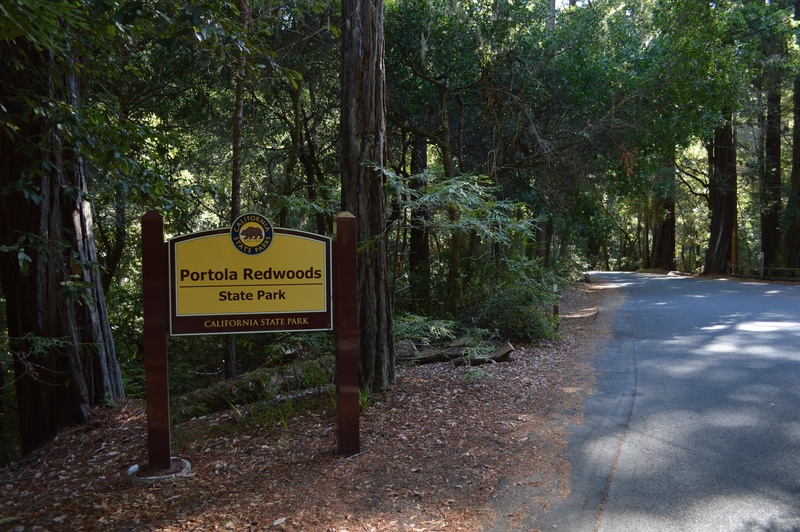 Old Haul service road is open to equestrians and cyclists - it winds through redwoods, out of the park to Memorial County Park. BICYCLING is not allowed on any hiking trails. Old Haul Service Road heads through Portola’s redwoods through Pescadero Creek County Park to San Mateo County Memorial Park. One of the most scenic beginner rides in the Bay Area, it’s a 10-mile round trip, accessed via the service road near the Iverson Cabin site. Paved roads excepted, this is the only route at Portola Redwoods State Park that allows bicycles. Helmets are required for riders under 18 years of age and recommended for adults. BRING PLENTY OF GAS & SUPPLIES - The nearest gas station is in Sky Londa (14 miles away at the intersection of highways 84 and 35) and the nearest groceries are in Sky Londa and La Honda (9 miles away on Highway 84). CRUMB CLEAN - Jays, ravens, and crows are attracted to food left behind by campers and picnickers. These birds eat the eggs and chicks of an endangered seabird that nests in old-growth forests along the coast, the marbled murrelet. Leave no food out: not even a crumb. WEDDINGS, PARTIES, AND SPECIAL EVENT PERMITS please call (831) 335-6324 or email mtnspecevent@parks.ca.gov.